If you’re an avid music lover like me, music plays an even more prominent role in your life during the summer months. I listen to music daily but especially love listening to music while we enjoy outdoor activities or just chilling on our patio. So I was excited to hear about the Ultimate Ears MEGABLAST and BLAST Portable Speakers from Best Buy. 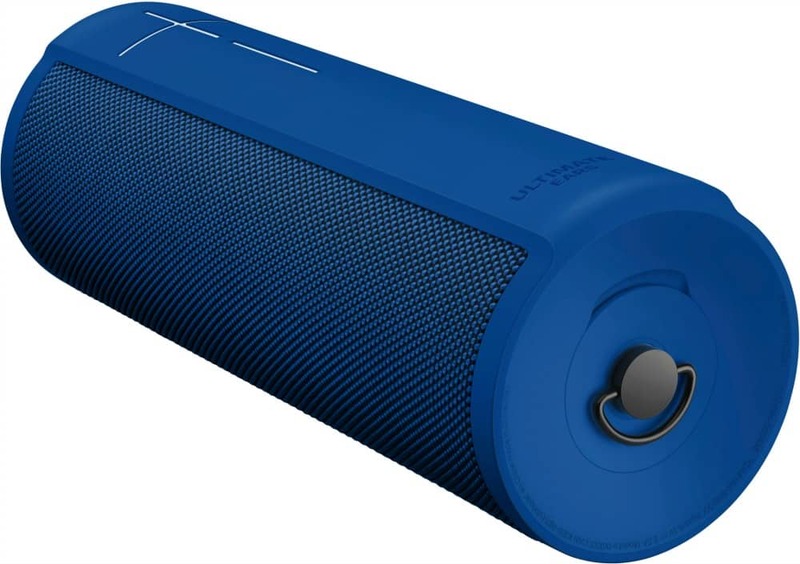 The best part about the Ultimate Ears MEGABLAST and BLAST portable speakers is that they are wireless. Which means we can set them on our patio when we are grilling out, entertaining, or just enjoying the warm weather and listen to our favorite music. You can now control volume remotely from the app, which is especially useful if you have your music cranked up loud and want to use Alexa. You can also check battery status in two ways – either through the app or right from the speaker by pressing the “+/-” volume buttons simultaneously. And starting in May, you can personalize your sound for any artist or music genre with the custom equalizer (EQ). Just ask “Alexa, play my Discover Weekly” or any music from Spotify on MEGABLAST and BLAST. 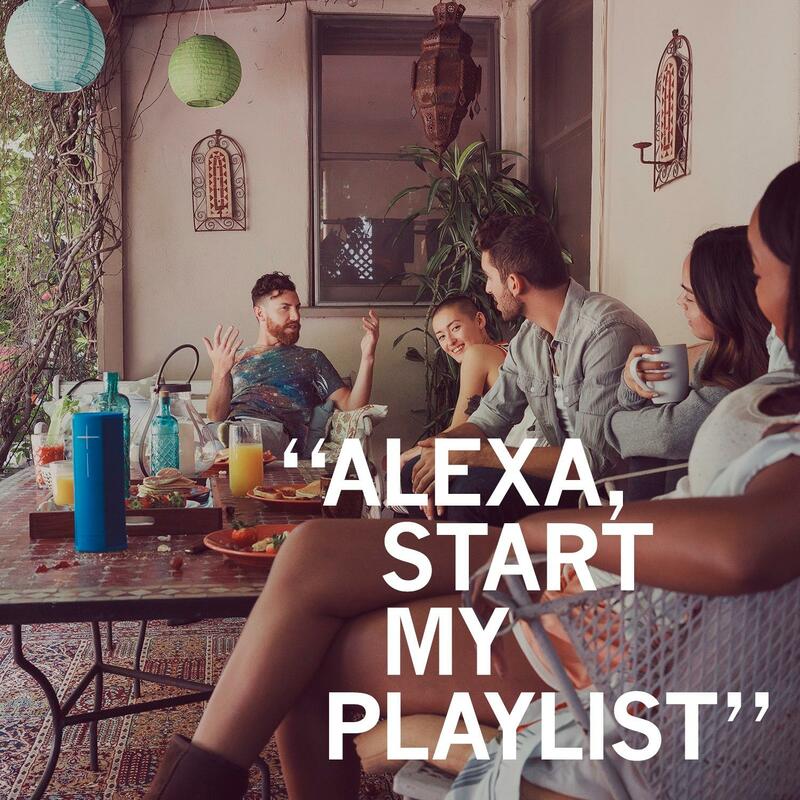 Spotify will soon join other Amazon Alexa supported music services such as Amazon Music, Deezer and TuneIn globally; and Pandora, iHeartRadio, and SiriusXM in the U.S. — use your voice to control music from these streaming services over Wi-Fi. On Bluetooth, you can enjoy music from any of your favorite music services. MEGABLAST and BLAST will be the first Ultimate Ears speakers to integrate Spotify Connect. When you’re on Wi-Fi, just open the Spotify app on your phone and play music directly to the speakers (under “Devices Available”) without the need to pair through Bluetooth. Music lovers can also stream the highest quality sound possible from Spotify. With Spotify Connect, you can text message or make calls without interrupting your music, and it will save your phone’s battery, too. You can group as many as eight MEGABLAST and BLAST speakers on Bluetooth and Wi-Fi at the same time. Stereo mode is supported when you connect two MEGABLAST or BLAST speakers. It’s optimized to take advantage of the speakers’ built-in Wi-Fi capability so you will experience a greater range for grouped speakers and improved connection reliability. (Grouping is expected to be available later this year). Enjoy up to 16 hours with a large built-in battery. Play and charge the speaker simultaneously using the optional cradle or in the included wall charger. With beam-forming technology and noise cancellation enable smooth, far-field voice recognition and control experience. The Ultimate Ears MEGABLAST and BLAST portable speakers are a music lovers dream! Take them anywhere you want them this summer and enjoy listening to your favorite music. Check them out at BestBuy.com and bring music to you this summer while you’re entertaining family and friends or just chilling poolside.